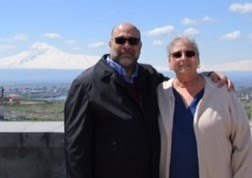 TheArmenianKitchen.com : Revival of an Armenian church in Turkey: a link to the past or a path to the future? Revival of an Armenian church in Turkey: a link to the past or a path to the future? A reader was kind enough to pass along a link to one of the many recent news stories about the restoration and re-consecration of St. Giragos Armenian Church in Diyarbakir, Turkey, the city known to Armenians as Dikranagerd. Robyn and I both share Dikranagertsi roots, which we've written about many times in connection with the city's distinctive recipes and our memories of wonderful meals in loving company. One of the largest churches in the Near or Middle East with a capacity of several thousand, St. Giragos was heavily damaged during the Armenian Genocide. It fell into disuse over the decades as the city's once vibrant Armenian community dwindled and virtually disappeared. Although work continues, Armenians from around the world gathered for the church's rededication services in late October. The multi-million-dollar project represents the first restoration of one of Turkey's many Armenian churches funded entirely by the world-wide Armenian community. The achievment is being hailed as a breakthrough in a country where the historic Armenian presence has been largely downplayed or ignored. Although St. Giragos may never have a regular congregation, Armenians hope it will become a lasting symbol of their history and a repository of the region's Armenian culture. St. Giragos has long been a very personal symbol for me. A century-old photo of its magnificent, multi-tiered steeple graces the wall of my den, facing the desk where I work. I look up at it many times each day. It is the same photo that hung in my parents' home throughout my childhood. When I was a boy, I asked my father why the rest of the church was absent from the picture. He said it was most important to remember the steeple because it was gone. It was so important to him that the photo was the only visible reminder in our home of the city of his birth. The steeple, I later learned, was just a bit younger than Dad. It was built in 1913 as a replacement after the original was struck by lightning. In an article about the recent restoration published in The Armenian Weekly, the Rev. Dr. George A. Leylegian noted that the steeple instantly became the tallest structure in the city, crowned by a glittering cross. It towered over the ruling Muslims' minarets, the article explained, a circumstance that led to its doom. "On May 28, 1915, as the Ottomans were dragging the Armenian prelate, Mgrditch Vartabed Chulghadian, off to be tortured and eventually martyred, the artillery cannon from across the city took aim at the bell tower and shot it to pieces as the prelate was forced to watch. Even though the church continued to operate during the 20th century, the bell tower was never rebuilt." My father escaped the steeple's fate, only to endure a childhood of repeated displacement without home or family. He had no interest in revisiting the scene of so much suffering and pain. He is long gone, so I can't know for sure whether the restoration of St. Giragos would have changed his mind. But I'm certain he would have noted, as I have, the absence of a steeple in photos of the restored church. I have no doubt what he'd say about that. I just found your website today--what a treat! When I saw the Hassa recipe, I wondered if you were Dikranagertsi; only the 'Dik' side of my family had that. I can't thank you enough for your site--I'm looking forward to many happy hours exploring here! I have a favourite cookbook for the Sepastatsi recipes I miss, and now I have a Dikgranagertsi source, too. Even Chor Mees--my brother will be delighted! Shad, shad shnorhagalenk. 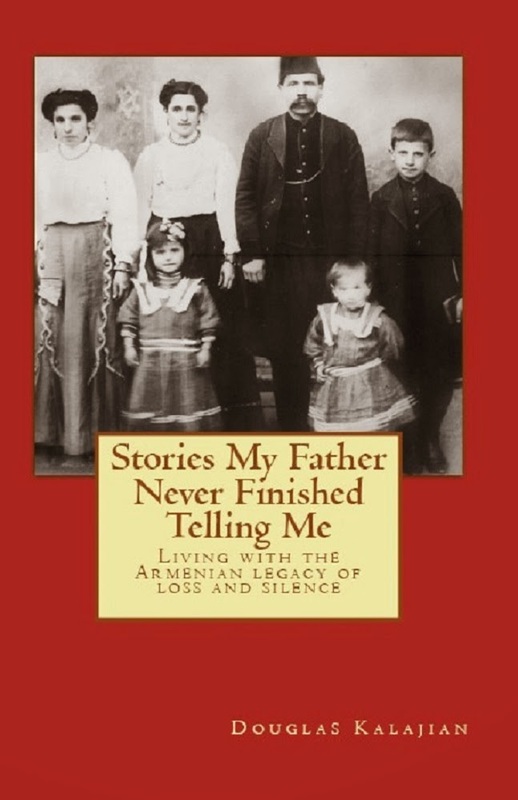 A small compensation for the years and generations of suffering; my dad's nanny growing up was a young Armenian who was the only one to escape the massacres by hiding in the family's cupboard. She fled and landed to Egypt and lived there the rest of her life.